While researching Maxine Beneba Clarke for this picture book author feature, I had an amen-hallelujah moment when I read the above in an interview between Clarke and Mario Varricchio of The Westsider. When she followed that revelation with, “It’s important to say yes to things, getting past that fear of doing new things, saying, ‘I’ll just have a go what’s the worst that can happen?’” I gave her a mental high-five for that one as well. It wasn’t long into my research that I realized the resonance of Clarke’s own words would far surpass anything I could ever write in tribute to her linguistic acumen. 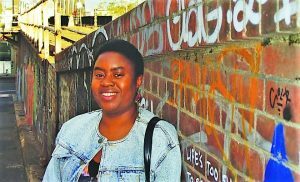 Therefore, I’ll just share the basics: Maxine Beneba Clarke is an Australian author and slam poet of Afro-Caribbean descent. Her award winning titles include the short story collection Foreign Soil; a poetry collection, Carrying the World; her childhood memoir, The Hate Race; and her debut picture book, The Patchwork Bike. 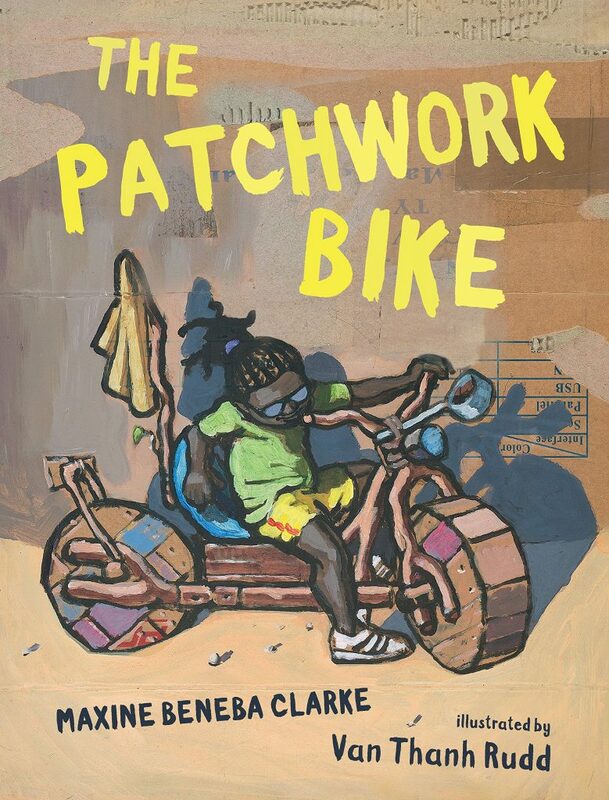 The Patchwork Bike (illustrated by Van Thanh Rudd and published by Candlewick in 2018), has received starred reviews from Publisher’s Weekly, School Library Journal, Kirkus, The Horn Book, and the Bulletin of the Center for Children’s Books. In its book review, The New York Times states, “Clarke’s poetically compressed language hurtles joyfully along, while Rudd’s illustrations, made on cardboard boxes with spirited swaths of paint, burst with irrepressible life. Dreaming and building, we see, go hand in hand no matter where you live.” It is a book that simply begs to be read aloud! THIS book looks amazing – I saw the cover and immediately wanted it. I love books which put tools in the hands of girls and options where others would see stop signs.